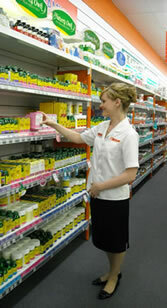 Costigans Good Price Pharmacy Warehouse is the Fraser Coast's biggest pharmacy with a massive range of medicines, vitamins, cosmetics and fragrances  all at 20-30% off normal retail prices every day. Costigans also offers a full prescription service and have a huge range of health and fitness equipment including treadmills, exercise bikes, etc. to hire or buy. No membership fees, no discount cards required, just lowest prices  guaranteed!